Courtesy of Coldwell Banker Res. Brokerage, Tracie Kersten. Single level updated condo in Bird Rock. This newly painted and carpeted property features an open floor plan. Updated kitchen features a wine fridge, prep sink, stainless steel appliances, and eat at bar. Formal dining room area. Bamboo floors in main living area. The generously sized master suite has 3 large closets (one has the in unit washer/dryer). 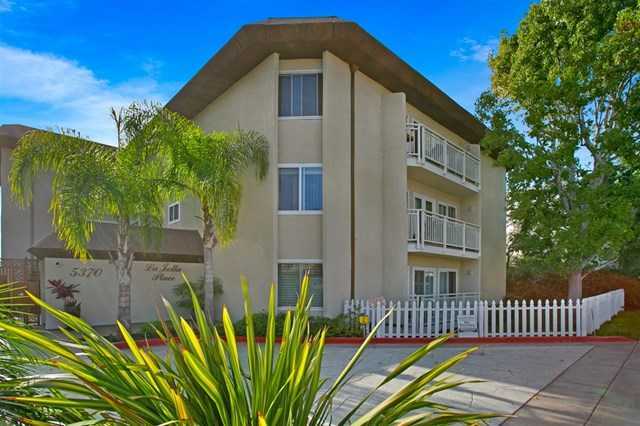 Unit has dual pane windows/sliding door, abundant closet space, a storage unit, 2 tandem gated parking. Walk to shops, restaurants and BR Elementary.